At Reiki Evolution we routinely ask our students to let us have their feedback about the training and support that they receive. We have set ourselves high standards and want to make sure that our students are happy with their training, and soliciting feedback is a good way of making sure that we are on track. 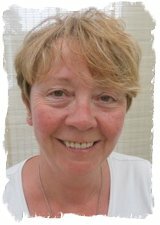 Below you can read testimonials from people who have attended Annie Harmstone’s Reiki Evolution Reiki training courses in Bexhill, East Sussex. “Yes I did it my Reiki 2nd degree I’m so excited! I think that the course content is well explained and covers most normal questions that would be asked. The course materials are all pretty straight forward and easy to follow. I enjoyed reading and listening to the CD I did listen to the CD a lot as I travelled back and forth to work. This is just to let you know that I really enjoyed my Reiki 1 course with Annie in Bexhill. I appreciated the small group and relaxed atmosphere. Annie was serious about Reiki but also lighthearted in her delivery and encouragement to us. This made me feel that I can incorporate Reiki into my everyday life and share it with others easily. I had had a very traumatic week after my 17 year old cat went missing for 3 days. I came away from the course in much better shape emotionally and physically. I also saw a positive change in other course participants. I liked the materials that you sent, especially the two CDs thank you. “I thoroughly enjoyed my training. The course materials were clear and concise making the material very easy to digest. Therefore I think I was well prepared for the training day. I would thoroughly recommend Annie. She is extremely easy to work with, very personable and helpful and I would recommend her to anyone who is looking to join the world of Reiki. “I enjoyed this course enormously on all levels. The course materials were thorough and user friendly. The trainer delivered in a clear and concise way. As before, Annie put us all at ease straight away and allowed us the opportunity to practise our newly acquired skills without feeling rushed and gently guiding us when we needed it. “A little feed back from my recent master teacher course with Annie Harmstone Weller.I thoroughly enjoyed this course. I had previously done my master level with someone else 9 years ago, but I have only just felt it was the right time to teach. I wanted to do your course as it covered all the topics & information I did in the master level, as well as additional practical information about modern and classical teaching methods. It gave me a clear and concise re-cap of the information I studied before & helped me to feel confident and totally at ease with my current work & practices. I am now thoroughly excited about introducing Reiki tuition at first, second and master level. Your manuals are well structured & very clear, making sure that theories and tradition are explained rather than just laid out with an assumption of understanding. I liked that fact that you have a open minded view of some of the more ritualistic practices, we appear to have very similar views! Annie is just lovely, I was so pleased to have completed this course with her, she was very helpful throughout my studies & made me feel so comfortable & welcome on the 2 practical assessment days. She is a wonderful teacher. “What did you think of the course content? Excellent. Annie is a knowledgeable and engaging Reiki Master and throughout the day she explained what we were doing and why we were doing it. After each attunement, she asked me how I felt and she was supportive throughout the whole day. She was very welcoming and a very interesting lady too. Did the course meet your expectations? It exceeded my expectations, the whole experience was extremely powerful and has changed things for me in a profoundly positive way. Since the course (which I undertook 6 weeks ago) I have begun volunteering as a Reiki healer at two local care homes, treating both residents and carers. I have also applied to a local cancer care centre to be a volunteer complementary therapist, and have a meeting with the manager next week. What did you think of the course materials (manual and CDs)? Working part-time, I’ve been lucky to have both the time and the determination to read the course material and make use of the CD’s before I attended the one day training with Annie. I found the background details into how Reiki started and how it became a way of like for Mikao Usui and the fellow students compelling and profound. The course material is laid out in an easy to follow manner. I found the CD’s extremely useful and helped me relax and meditate much better than I had done so in the past. Yes and more. To be fair I didn’t know what to expect. But having only 2 students on the course, it felt like a one to one session. My fellow student, Shirley, was a natural and helped me to feel really relax and connected with each other. As above. I would say to future fellow students, not to be put off by the amount of material you need to read. Yes its useful as background reading and it gives you a very good grounding of what Reiki is about. Remember, you can always go back to the booklet it you or stuck or you feel you are not doing your Hatsurei/Self-treatment correct etc. Love the pictures – for me helps me to visualise much better. It the same as any thing, the more you practice, the easier (and natural) it becomes. I suppose, it becomes second nature. Personally, for me, getting a good understanding on the Precepts – Just for today; Do not Anger/Do not worry; Be humble; Be honest in your dealing with people and Be Compassionate – has helped me to become a better person who is more relax, try not to get so angry, worry and be more compassionate and was the main aim I took from the course and booklet. Also just having a go at full treatment was brilliant – understanding and working what’s good for you as an individual. Just to be able to try it, talk about what you are feeling with fellow students and with Annie, made the day more worthwhile. What are your comments about the live training, and your teacher? How do you think the course could be improved? What did you think of the course content? “Good. Just the three of us, small enough to all have a go and be open about how we all felt. For me a small group works much better. You have time to get to know each other and listen too what experiences the others have had since Reiki 1 course. Was it the same as me or different and if so, how can I take out the positives from the experience and learn from the negatives. Annie helps you feel relax and is very down to earth. A lovely positive energy. Working in a class environment just wouldn’t work for me. Combining with home study, in your own time and a hands on experience to ensure you understand the concepts, work for me. “I will gladly give you some feedback and the course was amazing. I don’t think anything could be changed. The teacher that I had, Annie, was so good at meeting all the requirements especially that I have a form of autism. My learning is different and she was amazing and helped me learn in my own way, and it was very effective how she taught me. She generally listened and adapted to how I learn. As for the course itself, I do feel a lot more grounded, able to tap into this energy any time I like to help family and friends and myself. Upon receiving empowerments there was a pain in my leg, a shift was going on, and after a few days passed I found myself able to live more in the present moment as I am usually a thinker: I’m able now to just go with the flow and see what life brings to me. As for improvement I don’t think there could be anything that needs to be improved because my experience was very positive and again the teacher all props and credit to her she was brilliant. I am thinking of going onto my level 2 as I’ve had such a positive experience and generally would like to help others during their healing process.